TEDxMonumento258 took place in a unique location, at the border fence that separates Friendship Park in the United States, and Boundary Monument 258, located south of the border in Playas de Tijuana, Mexico. Two stages were built; one on either side of the border fence, just ten feet apart. The speakers took turns, alternating between the U.S. and Mexico. Two of those speakers began their talk on one side of the border, speaking in that country’s native language, then drove across the border to complete their talk on the other stage, in the language of that country. This represents the first time a TEDx event has been held in two countries simultaneously, and the first time TEDx speakers have delivered their talk split between two countries and two languages. At the top of this aerial image lies Border Field State Park, with it’s southern most boundary defined by the secondary border fence. Friendship Park lies inbetween the secondary and original border fences, with a long concrete walkway leading from the entrance gate to Friendship Circle on the U.S side. Boundary Monument 258 resides in Mexico, at the edge of the starburst pattern visible below the walkway. 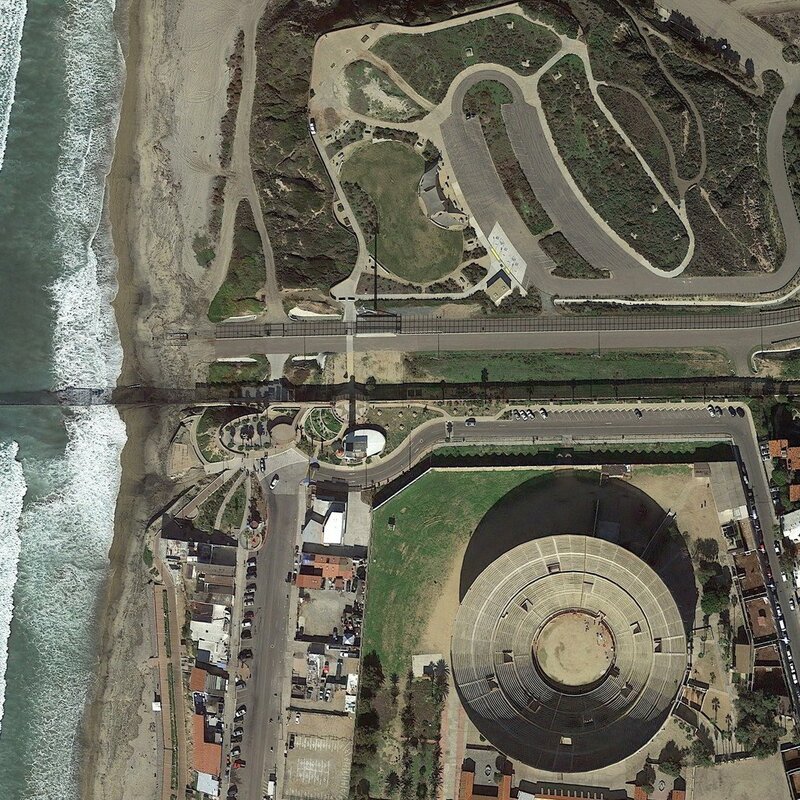 The entire area below the original border fence encompasses Playas de Tijuana, with Plaza Monumental, often referred to as Bullring by the Sea, in the lower righthand corner.